I’m a romantic, and there is something about the term ‘orphan works’ which pulls at the heart strings. But before I worked in the Copyright Directorate at the IPO, I did not know what they were. Now that I do, they absolutely fascinate me. The IPO has set up the orphan works licensing scheme, but for those who appreciate visual explanations, we have an animation explaining orphan works. A museum that has been on my list to visit for some time is the Museum of the Order of St John in Clerkenwell, partly as my sister and brother-in-law have been very involved with St John Ambulance over the years. The museum has been working on a project with cadets from St John Ambulance to create a digital learning resource based on Veronica Nisbet’s experience as a nurse in the First World War. 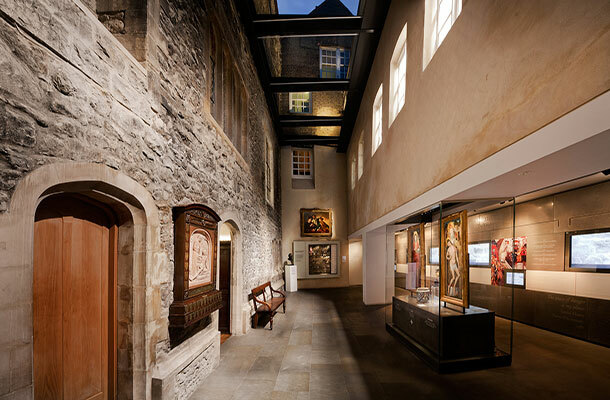 The museum has also described its experience using the orphan works scheme in a case study for the IPO. © Museum of the Order of St John. I was really happy to be invited to the museum for their launch event. I had a chance to chat to some of the cadets who were brimming with enthusiasm about the project. I even met some of the members of Veronica Nisbet’s family, who have shared their personal recollections to help the cadets get a better idea of this lively character. It’s great to see orphan works being used to help a new generation understand the historical context of St John Ambulance; a really innovative solution. I always enjoy the return of Who Do You Think You Are? on BBC1. The roadshow is currently on at the NEC Birmingham, 6-8 April. Some of the family stories of the celebrities are remarkable. Carrying out your own family research can result in you unearthing orphan works. We previously featured a blog on orphan works and family history , which explains some of the issues around family archives. One of these days, I hope to get round to making a bit more of my own family’s story and maybe I will get the chance to get a licence to copy some orphan works in the process. My Dad is also really keen on family history, so I was delighted when he recently discovered that my four times great-grandfather, Peter Burn, lived just a couple of streets away from the IPO’s office in London. It’s a small, intellectual property and orphan works filled world, after all! I recently met with the IPO's Chris Smith to talk about orphan works, history and rediscovering our cultural heritage - listen to the podcast here!